Tilt inwards for ventilation, Turn to open the window fully inwards for easy cleaning. Our Tilt & Turn Windows offer the same superb qualities that in terms of performance, aesthetics and environmental issues as casement, bow and bay windows. With sculptured lines they complement the design and look of other windows within the range. 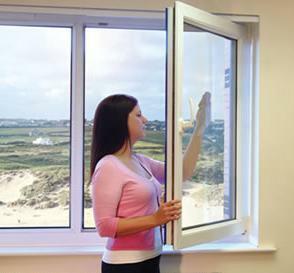 Our Tilt & Turn Windows are thermally efficient, structurally compliant and visually pleasing. 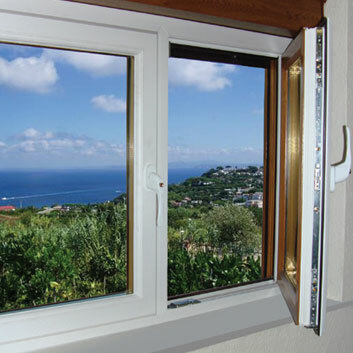 The two operational features of the windows allow for easy cleaning, when in the fully open position and provides ventilation when in the tilt position. Tilt & Turn Windows offer greater scope for larger openings than a traditional casement window and give greater thermal performance with the larger panes of glass. Tilt & Turn Windows also work well as fire escapes or where there is restricted space outside or opening hazards. Internally glazed our Tilt & Turn Windows have stylish slim sight lines. Multiple locking points make these windows the ultimate in security. Alternatively see our range of internally beaded casement windows. … contact us now on 02476 581858 or fill in the contact form making sure to provide a daytime telephone number! We recently had doors and windows fitted by your staff.